Allen & Heath’s Korean distributor, Sama ProSound Co., Ltd, recently installed a GLD-80 digital mixing system and ME-1 personal monitor mixer in Gunpo Sungjang Church in Gunpo-si near Seoul. 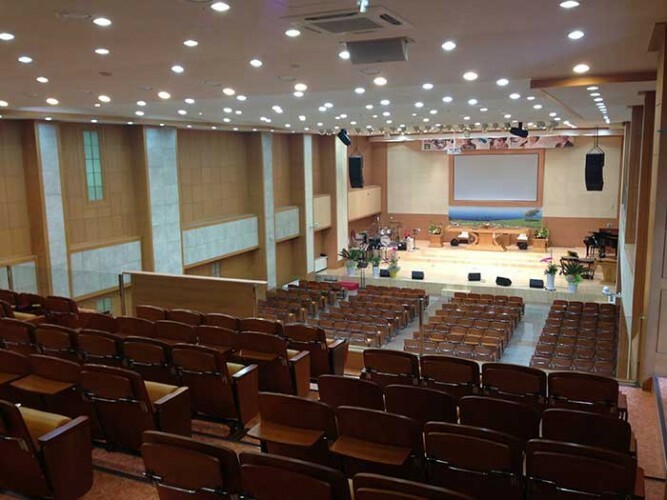 The church recently expanded, and decided to upgrade the sound system to digital from an old analogue system. Founded in 1984, the church contains a 1200 capacity main worship area with two floors and there is a sub-worship area and cafeteria. 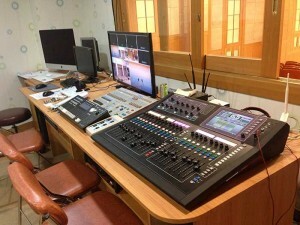 Sama ProSound’s brief was to install an easy to use and convenient digital mixer, so the company selected a GLD-80 digital mixer expanded with a AR2412 and two AR84 I/O racks, and with personal monitoring provided by five of the compatible ME-1 mixers, making Gunpo Sungjang Church the first church to install ME-1 in Korea. "I first saw ME-1 at KOBA 2013, and it really impressed me. ME-1 meets all of my expectations as it is very easy to use not just for the sound guys but for the musicians as well. The previous stage sound environment used wedge speakers but the current set up with ME-1 is much better. ME-1 is very impressive, allowing musicians to control their monitor mix without a monitor engineer, which helps keep the sound levels on stage lower. I believe ME-1 is the perfect solution for churches, which do not have a professional sound engineer. Also, the OLED screen provides a very clear display," explains Rev. Seunglee Kim, who manages sound at the church. "As ME-1 is compatible with GLD without any option cards, we could make the system very simple and easy to use. Supporting up to 40 signals is the best feature of ME-1 compared to competitive personal monitor mixers."